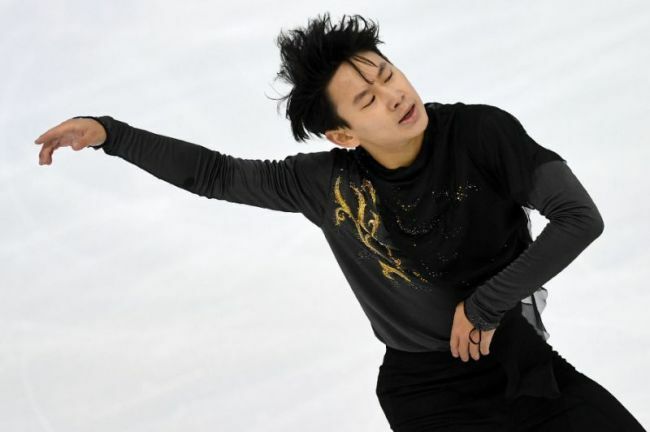 South Korean figure skaters on Friday mourned the death of Denis Ten, a Kazakh star of Korean descent, taking to social media to express their condolences. Ten, the 2014 Olympic men's singles bronze medalist and a great-great-grandson of a Korean-born independence fighter Min Keung-ho, was stabbed to death in Almaty on Thursday at age 25. South Korean icon Kim Yu-na wrote on her Instagram page that she was "traumatized" by the news of Ten's death, while also posting a photo of herself and Ten together. The two were both represented by Kim's own management company, All That Sports. "Denis Ten was a great athlete and a huge inspiration to everyone," Kim, the 2010 Olympic champion, wrote in her English message. "It is such a tragedy, and (I'm) saddened to lose a great and passionate skater like him. I am sorry for your loss and express my deepest condolences to the deceased." English: "I can't believe this news. When I was in Kazakhstan, you really cared about me and cheered me up. I miss you... Rest in peace."